15 Apr Can “Rent the Runway” become the Netflix of fashion world? Rent the Runway wants to become Netflix of the fashion world. My previous article highlighted as to how Instagram has given birth to new companies in the world of fashion. One such example is “Rent the Runway” company, which aims to become the next Netflix of the fashion world. I shall summarize the business model of this company as a case study here. Read my article on How Instagram is disrupting the fashion world, by clicking here. Case study: Rent the Runway. Insight for the business concept came from the fact that today Instagram is fueling the desires and aspirations to look good, fashionable amongst the millennials and in order to satisfy this urge, millennials have started misusing the return policy of most of the fashion brands. 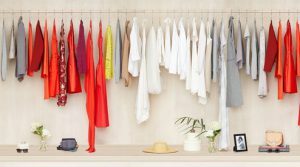 It rents out designer clothes from some 500 different brands to subscribers who pay a monthly fee, allowing them to borrow a high-end wardrobe for much less than it would cost to actually buy. The business model is based on a subscription model which Netflix has mastered. Company registered a sales of 100 million USD last year and showing a significant increase in its profitability. Young women often faced the dilemma of buying expensive designer dresses which they would only wear once, especially after photos of them wearing these dresses were posted on social media. To resolve this dilemma, Hyman and Fleiss (founders of Rent the runway) decided to create a platform to make luxury brands accessible to everyone through rental. What makes Rent the runway different from other fashion e-commerce companies? This statement is so true that how technology has pivoted a simple fashion business model into tech-driven, analytical driven, reverse logistics operation model. Partnership or collaborations with leading fashion houses and designers. Take good care of the dresses to maximize their useful life and minimize inventory to drive sales. Fittings: To help customers navigate the 65,000 items in its inventory and identify the best fit, they created “Our Runway”, a section on the website where customers can see how other customers, not models, look in a dress. Logistics support in order fulfillment, the system tracks items coming in and out and prioritizes orders, taking into consideration the time required for dry cleaning and any repairs. Reverse logistics if any altercations needed, dry cleaning, etc and bringing back the merchandise back in the warehouse. To optimize, Rent the runway has in-house laundry services as well. The dresses are steam pressed, re-inspected, bagged, and mailed to the next customer. 60% of dresses are back out of the door on the same day. Use of fashionistas and bloggers to drive the brand awareness of renting a designer dress. You get to subscribe 3-4 dresses a month. They have multiple subscription levels and depending on customer’s preference they can select the option. Rent the Runway analyzes an enormous amount of data on customer preferences, renting behaviors, and feedback to consistently improve its inventory selection and rental process. They feed these data insights to brands and designers which helps them to come up with their new collections in next season. Its a win-win model for both the company and their fashion houses. Will this model affect Fast fashion retailers like Forever 21, Zara, Uniqlo, etc? Rent the runway has started their collaborations with upcoming fashion designers offering fast fashion trendy clothing on rentals. They have introduced a low fee subscription model. Pay USD 80/- per month to get 4 fast fashion trendy dresses per month on rentals. The rental duration is approx. 4-7days. Combined with accessories to glamorize the outfit. Response towards fast fashion needs to be monitored. This trend would affect fast fashion retailers to adapt to newer buying cycle or patterns of the new customers. We all are living in an exciting era wherein no two days are the same in the field of business. Keeping yourself abreast of the latest developments has become a necessity. Thanks to the internet, it is disrupting all the sectors. Watch out my next article as to why brands are shying away from social media. I shall publish mid-May month. If any of my retail fraternity members need any help from my end to transform their retail vision into reality then feel free to write to me on riteshmohan@yahoo.com. Rent the Runway – How it Works.